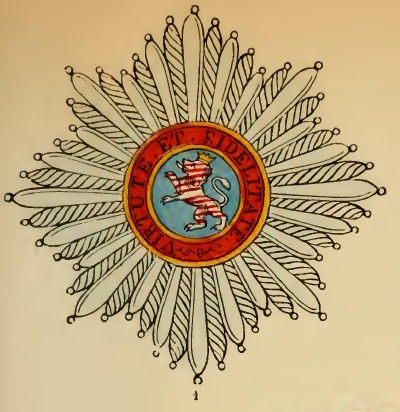 It was founded on the 14th August, 1790, by the Landgrave Frederick II., as a reward for distinguished merit, and placed by him under the patronage of St. Elizabeth of Hungary, one of the ancestors of the Landgrave. The Landgrave had formed only one class, but altered circumstances induced subsequently the Elector William I. to enlarge the statutes on the 1st January, 1818. The title of the Order has, however, been retained. The reigning Electors are Grand Masters, and bound to contribute, as much as lies in their power, to preserve and increase the dignity and glory of the institution. The members are divided into four classes : Knights Grand Cross, Commanders first and second classes, and Knights. The number is unlimited, and is not confined to any station, military or civil. The Princes of the reigning house are born Knights of the Grand Cross, though they are not decorated until they have reached the age of discretion or reason. The upper degrees cannot be obtained before passing through the lower. Religion is no bar to admission. 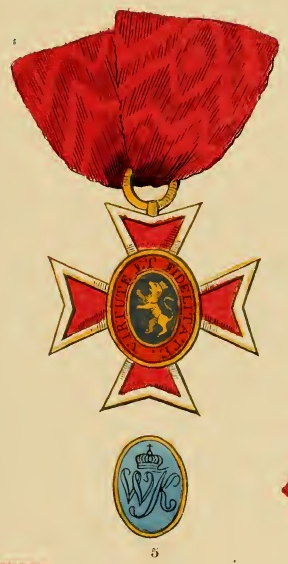 The insignia consist for Knights of the Grand Cross, of the decoration (No. 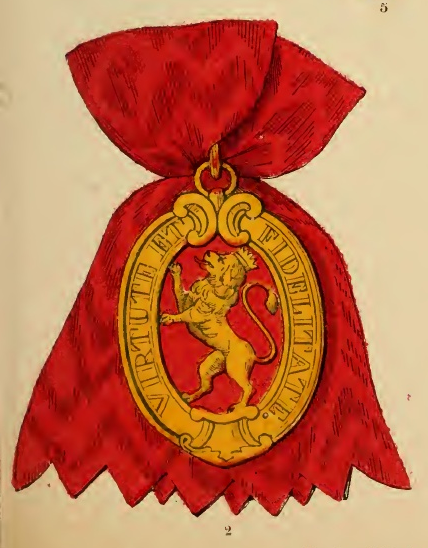 2), worn by a ribbon across the right shoulder towards the left hip, and containing, on the edge of the reverse, the name of the Grand Master ; it further consists of a star (No. 1), worn upon the left side of the coat; both badges show the inscription : "Virtute et Fidelitate" (For virtue and loyalty). The Commanders (first class) wear the decoration (No. 4) round the neck, and the silver cross (No. 3) on the left side. 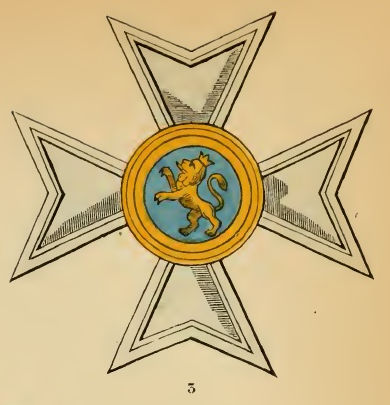 The Commanders (second class) wear the same decoration, but without the cross. The Knights suspend the cross (No. 5) at the button-hole, or on the left side of the breast. Both (Nos. 4 and 5) have, in the centre of the reverse, the letters : "W. K." (Kurfürst Wilhelm) beneath a royal crown.